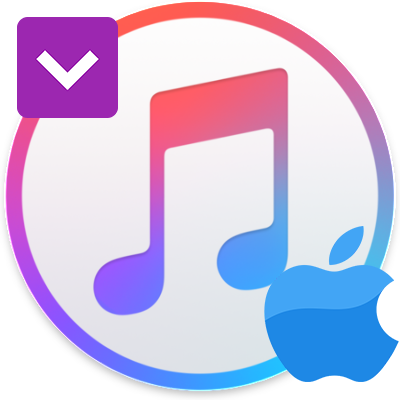 In the latest version of iTunes was released on September 12 (iTunes 12.7), Apple removed the App Store and Ringtone section of the software. iTunes U was also merged with the podcasts section. 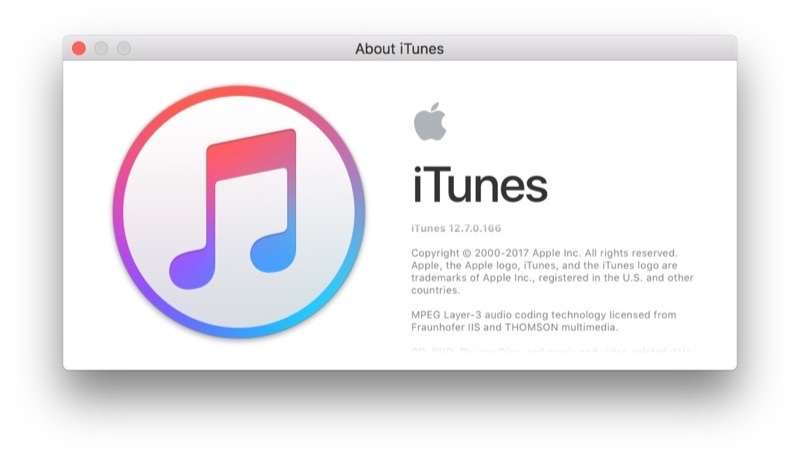 The funny part is about couple days later, it seems even Apple not satisfied with iTunes 12.7 and released iTunes 12.6.3.6 that reintroduces the ability to access the App Store for enterprise customers. 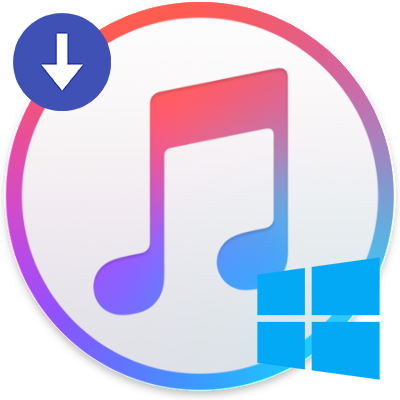 If you are not a fan of new iTunes 12.7 and want to downgrade iTunes to 12.6 or earlier version, with a little effort, you can downgrade iTunes 12.7 back to iTunes 12.6 on either a Mac OS computer or Windows PC. Alert: Want to have a try with new iTunes Alternatives? Great Idea! Follow this tutorial to learn What Is The Best iTunes Alternative Software 2018. Before you starting, keep two notes in mind as downgrading iTunes on your computer may risk losing your data (for the most cases, this would be safe. Just in case). The first note is that, for most users, iTunes 12.7 is good enough and only if you are advanced users who must use an earlier version for some particular reason. Secondly, it's suggested to backup your computer before start downgrading your iTunes or other similar system-wide operations. Failure to backup could result in permanent data loss or data removal. The general process of downgrading iTunes from 12.7 is a 1-2-3 go: Deleting current iTunes 12.7 > Restoring the old iTunes Library file > and then downloading the older version of iTunes and installing it. 5. Be 100% and absolutely certain that your syntax reads the same, rm is unforgiving and will delete any file permanently it is pointed at. When confirmed you are pointing at iTunes.app/ only, hit return and authenticate with an admin password to completely delete iTunes. 6. After it finished, go to the Finder of Mac OS and visit your user ~/Music/iTunes/ folder and locate the file named "iTunes Library.itl" and move it to the Desktop. 8. 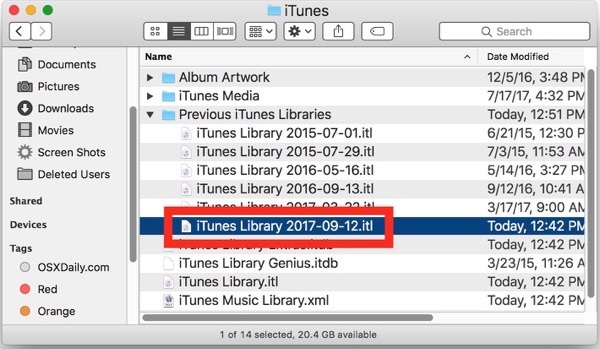 Drag the copy of "iTunes Library 2017-09-12.itl" to the ~/Music/iTunes/ folder and rename it to "iTunes Library.itl". 9. Download iTunes 12.6 here > Install it on your Mac, then launch iTunes once complete. That's it, you're now successfully downgrade your iTunes from 12.7 to 12.6. 1. To downgrade iTunes 12.7 on Windows is slightly different than on Mac. The procedure is simpler. Here you go. In Windows, go to where your iTunes Media folder is located > open "Previous iTunes Libraries" > make a copy of the most recently dated iTunes Library.itl file in that directory. 2. In Windows, open Control Panel > Programs > Programs and Features and go to "Uninstall or change a program". 3. Choose "iTunes" and choose to Uninstall iTunes 12.7 from the Windows PC. 4. Download and install iTunes 12.6 > Relaunch iTunes after installation has completed. Have More iTunes 12.7 Tips? Drop A Line to Us. Have more exciting iTunes 12.7 / iPhone 8 / iOS 11 hack tips? Or if you're an awesome Apple product guru, and would like to share more informative tips, feel free to leave a comment and we are happy to hear from you.